Journey through Mayan ruins for hidden treasures and priceless artifacts. "I had this game before I got my new computer and lost it. I was glad when I saw that it was available at GameFools for a really good price. 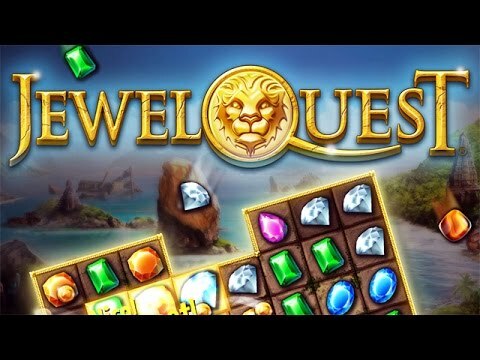 Jewel Quest is one of my all-time favorite games." Explore the ancient ruins of Mayan civilization while discovering hidden treasures and priceless artifacts in Jewel Quest. In this unique take on the classic-style matching game, you must rearrange valuable relics to turn sand tiles into gold. As you venture deeper into the jungle, you will encounter increasingly difficult puzzles containing secret twists, cursed items and buried artifacts. I can't stop playing this game. It is so addictive! I always get excited to pass a level to see what the next challenge is. This has been my favorite game for years. I got a new computer and discovered my CD with the game was lost to me. I was so thrilled that I could download the game from GameFools. It is not an easy game, but I keep trying to get further into it. I enjoyed this game. I had already completed Jewel Quest 3 and wanted to fill in the rest of the series.